Pharmacists should protect their patients' health by being vaccine advocates. (3) Pharmacist as immunizer (protecting vulnerable people, consistent with state law). (b) Pharmacists should focus their immunization efforts on diseases that are the most significant sources of preventable mortality among the American people, such as influenza, pneumococcal, and hepatitis B infections. (c) Pharmacists should routinely determine the immunization status of patients, then refer patients to another appropriate provider for immunization. (d) Pharmacists should identify high-risk patients in need of targeted vaccines and develop an appropriate immunization schedule. (e) Pharmacists should protect themselves and prevent infection of their patients by being appropriately immunized themselves. Pharmacists who administer immunizations do so in partnership with their community. (a) Pharmacists should support the immunization advocacy goals and other educational programs of health departments in their city, county, and state. (b) Pharmacists should collaborate with community prescribers and health departments. (c) Pharmacists should assist their patients in maintaining a medical home, including care such as immunization delivery. (d) Pharmacists should consult with and report immunization delivery, as appropriate, to primary-care providers, state immunization registries, and other relevant parties. (e) Pharmacists should identify high-risk patients in hospitals and other institutions and assure that appropriate vaccination is considered either before discharge or in discharge planning. (f) Pharmacists should identify high-risk patients in nursing homes and other facilities and assure that needed vaccinations are considered either upon admission or in drug regimen reviews. Pharmacists must achieve and maintain competence to administer immunizations. 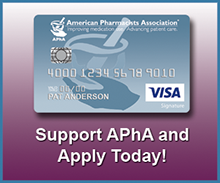 (a) Pharmacists should administer vaccines only after being properly trained and evaluated in disease epidemiology, vaccine characteristics, injection technique, and related topics. (b) Pharmacists should administer vaccines only after being properly trained in emergency responses to adverse events and should provide this service only in settings equipped with epinephrine and related supplies. (c) Before immunization, pharmacists should question patients and/or their families about contraindications and inform them in specific terms about the risks and benefits of immunization. (d) Pharmacists should receive additional education and training on current immunization recommendations, schedules, and techniques at least annually. Pharmacists should document immunizations fully and report clinically significant events appropriately. (a) Pharmacists should maintain perpetual immunization records and offer a personal immunization record to each patient and his or her primary care provider whenever possible. (b) Pharmacists should report adverse events following immunization to any appropriate primary-care providers and to the Vaccine Adverse Event Reporting System (VAERS). Pharmacists should educate patients about immunizations and respect patients' rights. (a) Pharmacists should encourage appropriate vaccine use through information campaigns for health care practitioners, employers, and the public about the benefits of immunizations. (b) Pharmacists should educate patients and their families about immunization in readily understood terms. (c) Before immunizing, pharmacists should document any patient education provided and informed consent obtained, consistent with state law.